Business performance assessment programs are comprised of periodically scheduled and event driven assessments. Because these assessments are not performed on a continual basis, they are inappropriate for the monitoring of rapidly changing conditions. Four Types of Business Performance Assessments explores the array of assessment types routinely implemented by effective oversight programs. 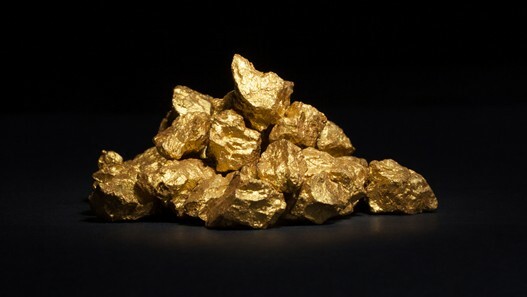 Business Performance Assessment Programs play a key role in the identification of value-adding performance improvement opportunities that will keep your company on top. 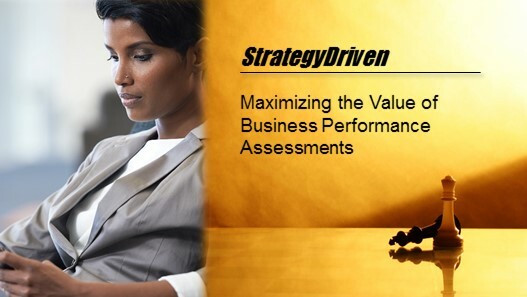 If you don’t have such a program or are looking for ways to improve the value of your business performance assessments, register for StrategyDriven’ FREE Maximizing the Value of Business Performance Assessments video series. In this free, five part video tutorial, we’ll show you how to optimally synthesize your organization’s data into actionable performance improvement information. 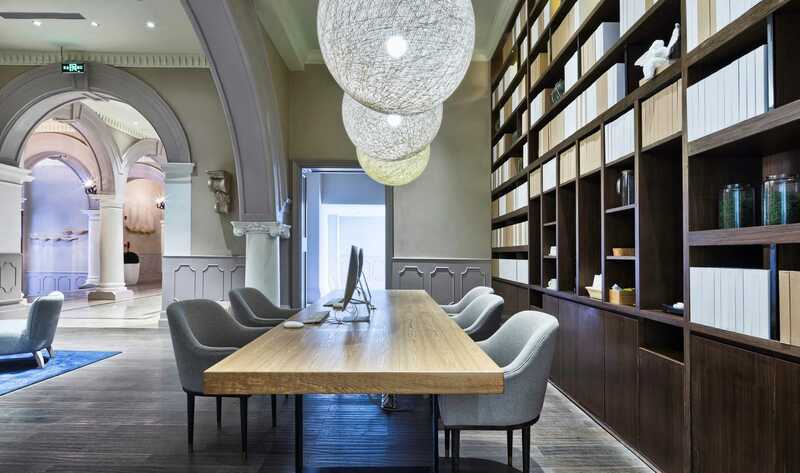 At StrategyDriven, we’ve had the privilege of helping leading companies around the world improve their performance. Based on this experience, we’ve identified several common performance improvement opportunities associated with the organizational, process, and technology areas that you can look for and implement within your organization to improve overall performance. Watch this video to learn about several business performance improvement opportunities for each of these three areas. Four Phases of High-Quality Business Performance Assessments explores the phase-by-phase activities performed during effective business performance evaluations. Business performance assessments are conducted in a series of phases: Identify, Plan & Schedule, Execute, and Close-out. Associated with each phase is a collection of principles, best practices, and warning flags aiding the identification, communication, and acceptance of value-adding, self-critical performance improvement opportunities. Watch this video to learn about practices associated with each assessment phase. 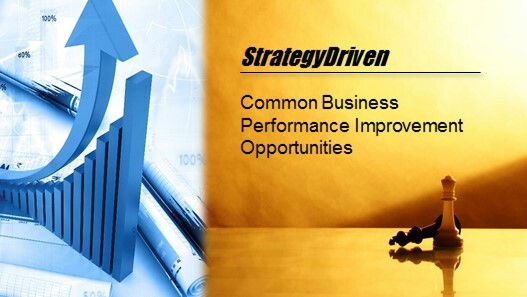 In StrategyDriven’s FREE Maximizing the Value of Business Performance Assessments online training series, we’ll show you several of the principles behind our identification of $200 million in performance improvement opportunities – in 2014 alone! An organization’s assessment program plays a key role in identifying the performance improvement opportunities that will propel it to the next level of performance. 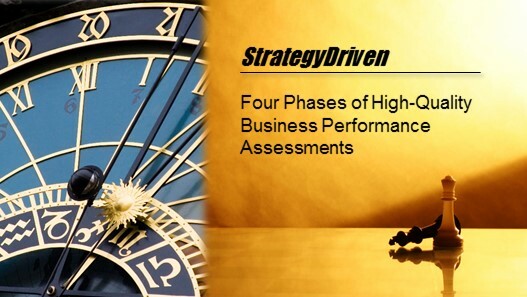 Materials in StrategyDriven’s Business Performance Assessment Program Forum reveal the leading practices of companies successfully executing an assessment program in support of strategic business planning and tactical business execution.